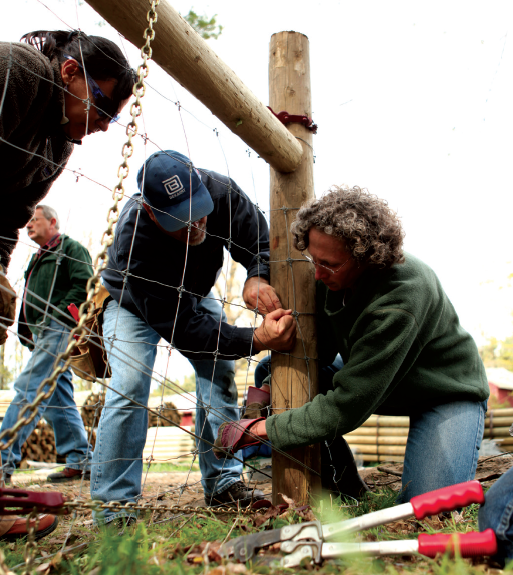 Each year, Wellscroft holds two Free Fence Clinics (Spring & Fall), consisting of educational lectures and hands-on demonstrations for new farmers, gardeners and commercial growers or anyone else interested in learning more about their existing fencing system! Checkout the schedule of events (below) for our 2nd Annual Free Fall Fence Building Clinic being held this year on Saturday, September 15th, from 8:30 am to 3 pm. Discussion topics will range from Permanent and Semi-Permanent Electric Fence Systems to Non-Electric Woven Wire and other Physical Barrier Systems. Participants will have hands-on opportunities to build fence and try out products, as well as get free advice from our fence experts.